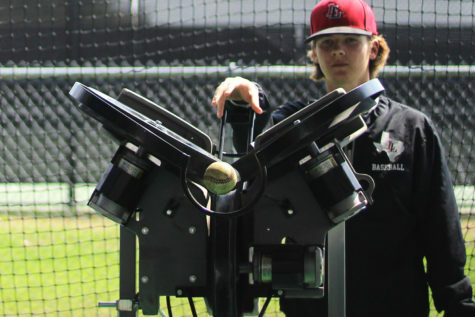 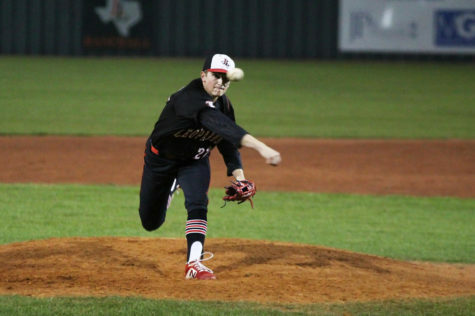 Senior Jacob Eschler squares up a pitch in series opener against Texarkana. 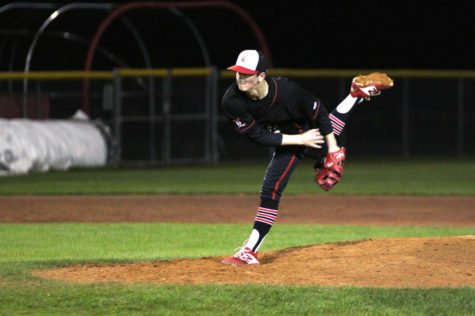 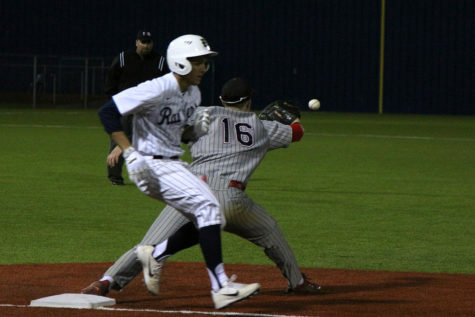 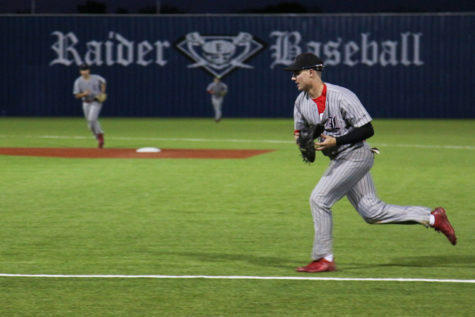 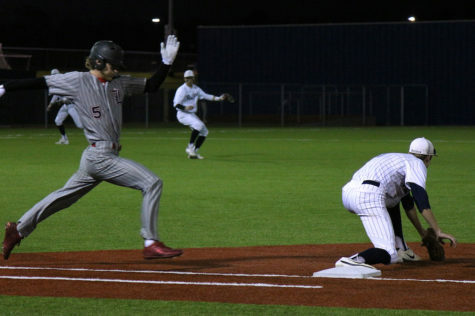 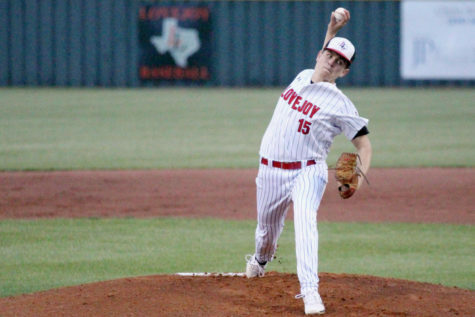 After successfully reviving its season by winning three straight games to snag a spot in the playoffs, the baseball team (18-14, 8-6 in district) finds itself in a 1-0 hole in the best-of-three Bi-District series versus the 19th ranked Texarkana Tigers (23-5, 10-3). 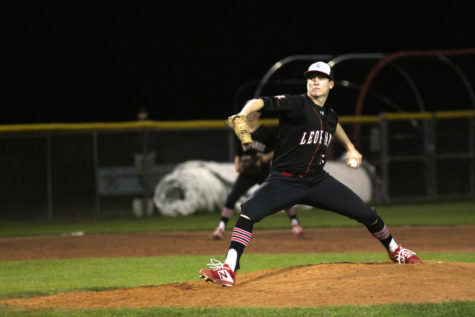 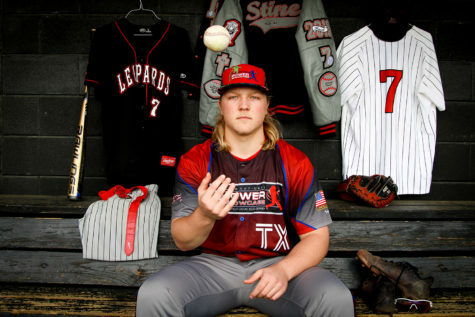 The Leopards will play game two in Texarkana on Friday at 7:00 p.m. A win there would force a third game to be held on Saturday at 1:00 p.m in Rockwall, but a loss, however, would cut their season short and send them home packing. 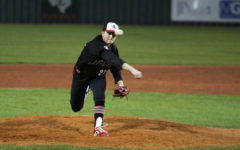 The team fell to Texarkana 8-2 Wednesday night, despite out-hitting the Tigers eight hits to three. 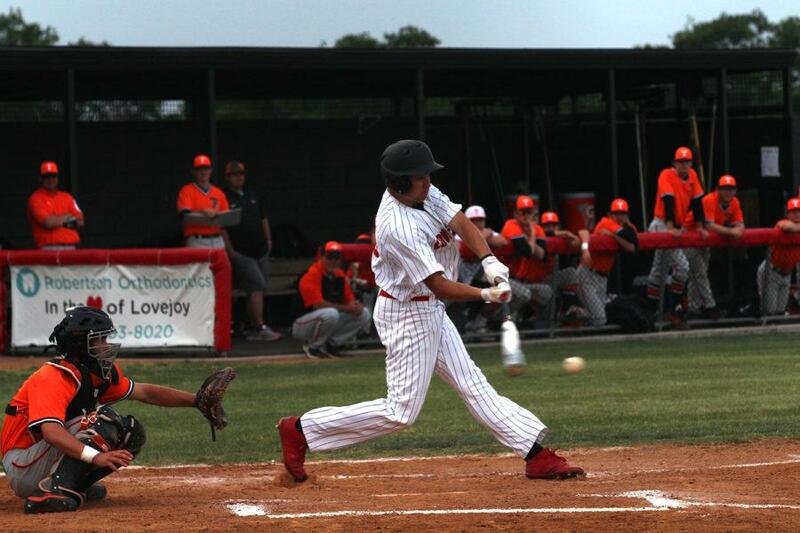 The Leopards also struggled to convert hits to runs, leaving seven runners on base. The Leopard pitching staff struggled in the series opener, going through four different pitchers throughout the span of the game. 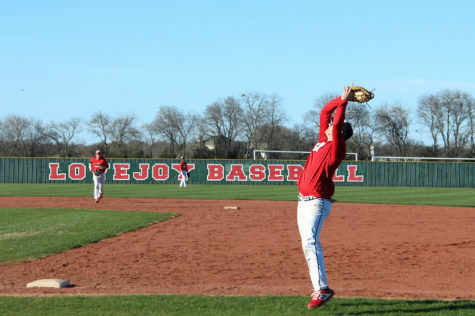 Head coach Jason Wilson is looking to juniors Jordan Yoder and Jake Terwilliger to take the reins on Friday to give the Leopards a chance to extend the series. 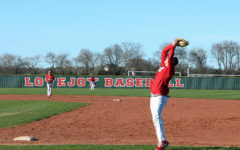 Wilson said that he understands the implications of a repeat of Wednesday’s performance.